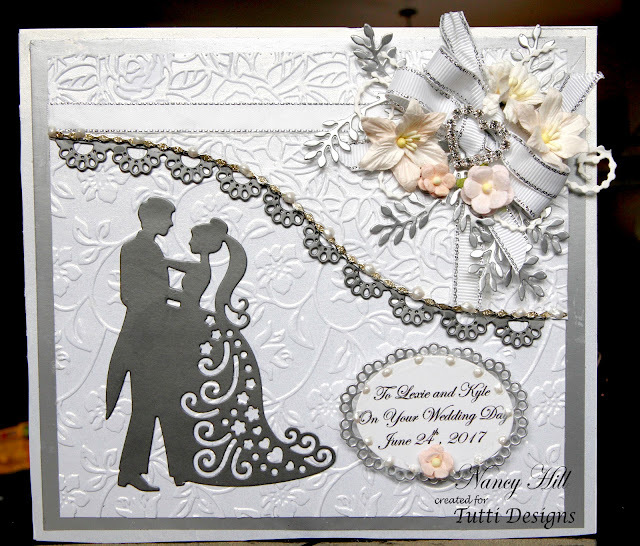 The gorgeous wedding dies in the April Tutti Designs release are here. Click on HERE to see all of these amazing wedding dies for your next wedding cards. Isn't this another gorgeous Tutti Designs die called the Tutti Designs Dancing Couple. This card measures 6 1/2" x 7 1/4". Some of my ideas for this card were inspired by a card made by Jeannie DonnelIy which I adore her and got to know her through social media. I cut the die with gray metallic card stock. I used Centra Gold/White Pearl card stock and used Sue Wilson Rambling Rose and Bed of Roses embossing folders to emboss the top and bottom. I made two bows and added a rhinestone heart slider buckle to one of the bows. 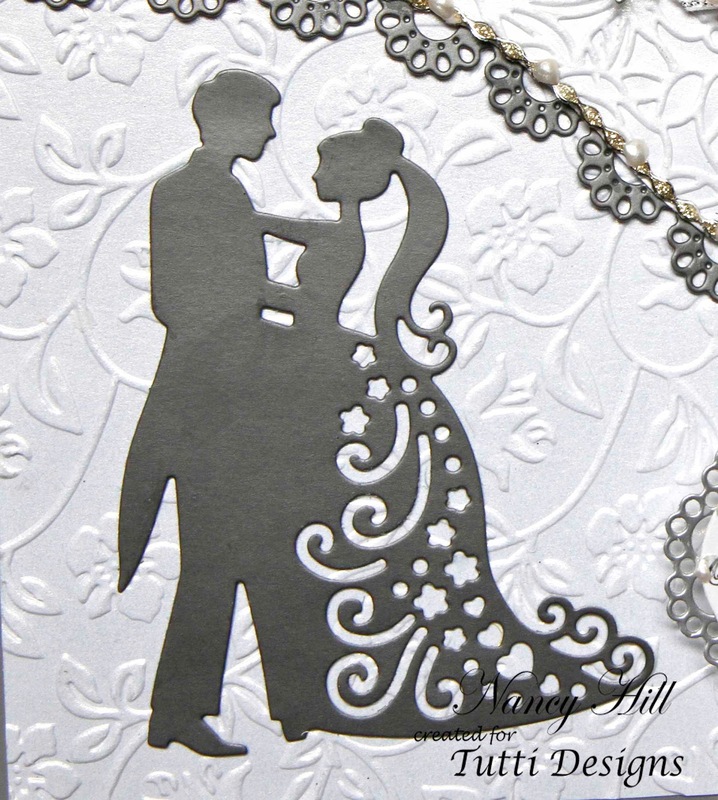 Reminder to visit the Tutti Designs Blog to see what our other designers have created for you. 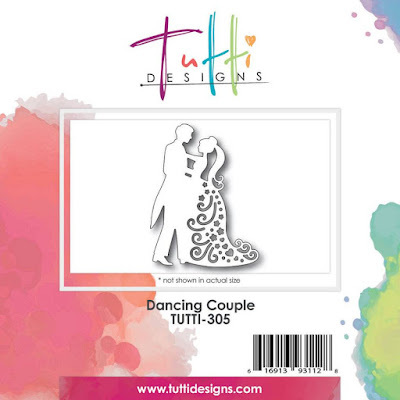 Explore more ways of using this die as well as other Tutti Designs dies, visit our Tutti Designs designers on the Tutti Designs Pinterest and Tutti Designs Facebook . Unbelievably beautiful! I adore this great design and your color choices! I was married here and it is a fantastic venue. The food, service and mostly the wedding venues staff were truly amazing. Despite the pouring rain storm, constant emails requesting changes, and nervous energy, these guys delivered the most enchanting night.